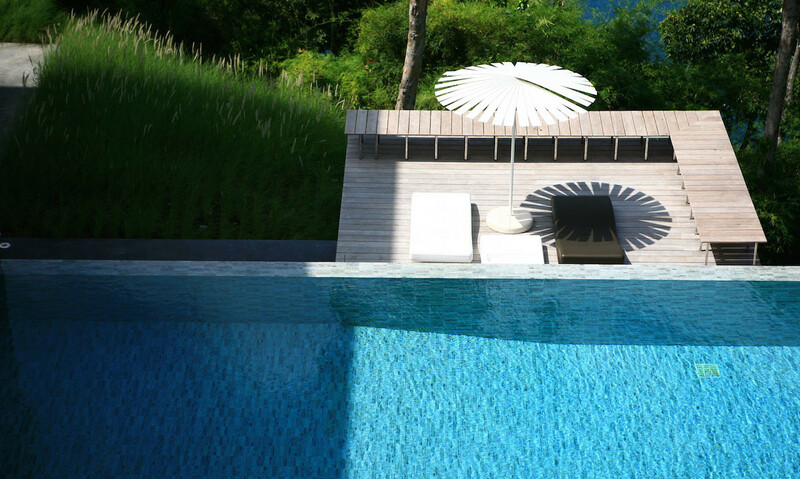 The epitome of a modern architectural gem in one of the world’s most beautiful destinations, Villa is the stuff of dreams. 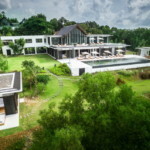 The private residence is located in Phuket, Thailand’s biggest and most popular tourist destination, and it sits on a dramatic site overlooking the Andaman Sea. 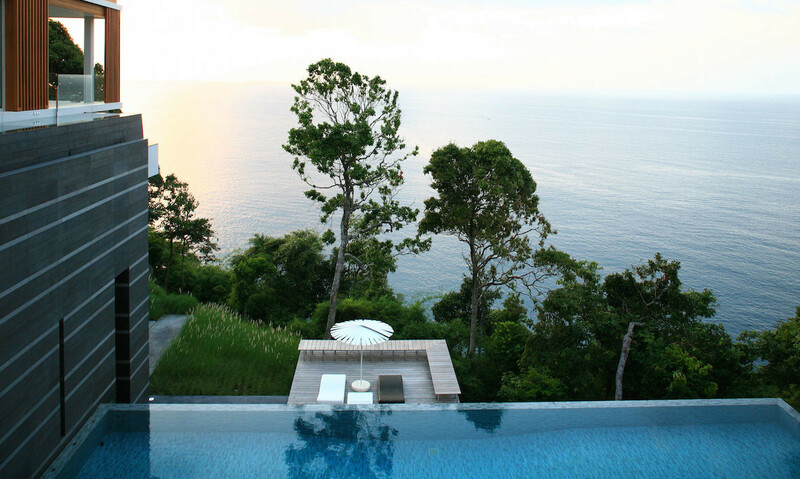 The property can be found on Waterfall Bay, at the millionaire’s mile in Kamala. 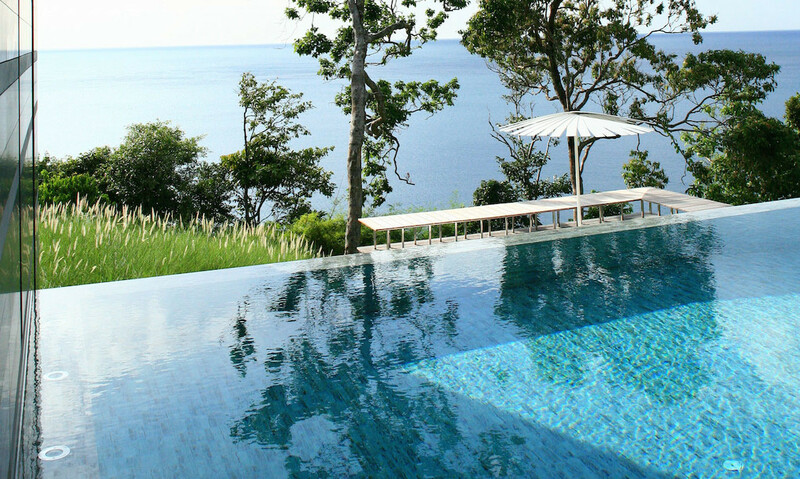 It’s perfectly secluded and isolated from popular tourist sites of the island, offering a tranquil, authentic, and relaxing escape from the rest of the world. 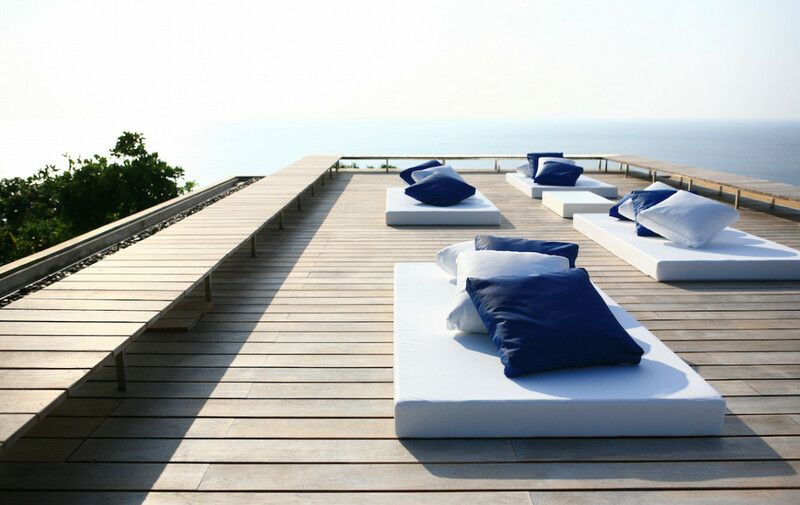 The beaches of Kamala and Surin are a short distance away so should you want to explore the white sand beach offerings of the island, they are easily accessible from the villa. 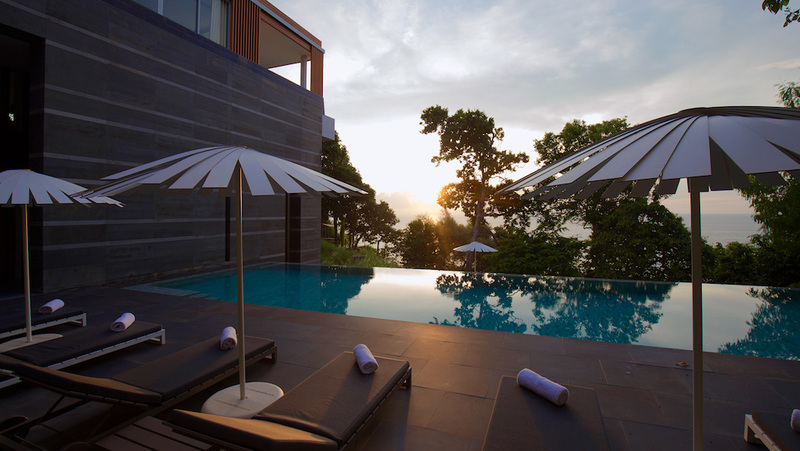 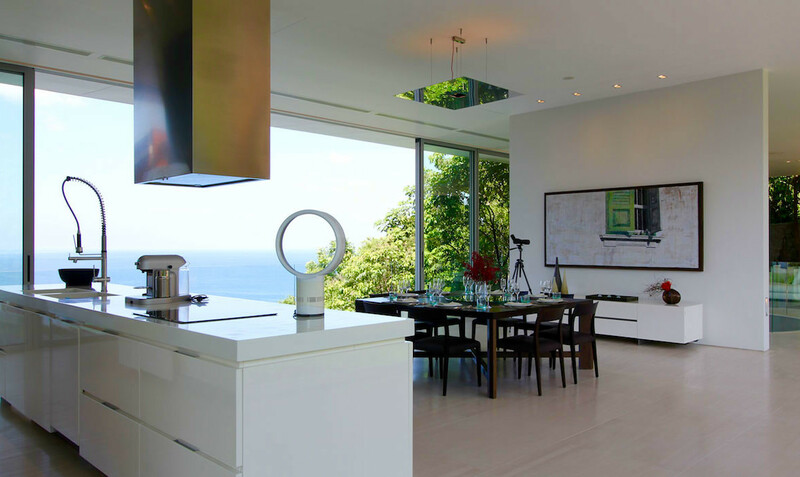 Villa is one of the FINEST COLLECTION OF LUXURY VILLAS IN PHUKET. 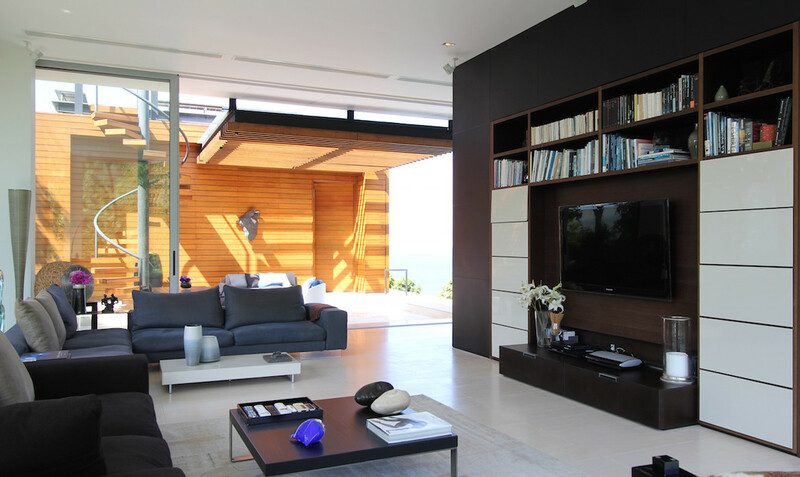 The villa was designed by Tierra Design and finished in 2009. 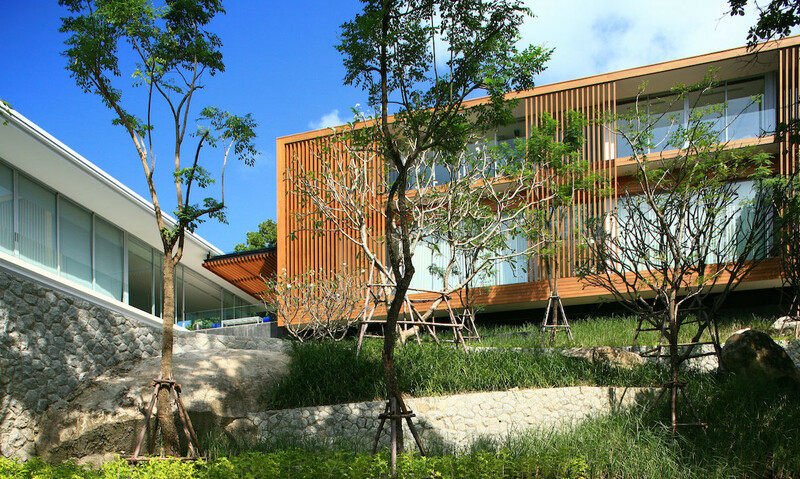 Its overall structure is the highlight of the property, which is defined by geometric lines and volumes that offer a true Zen characteristic to the entire building. 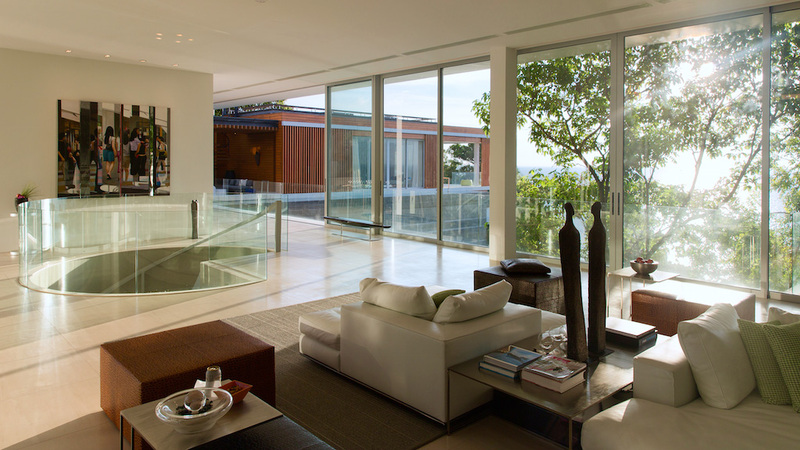 There are a total of 4 levels to this Z-shaped home, with an entry that greets guests into a stone hallway, and directed up to a spiral staircase that’s encased with glass. 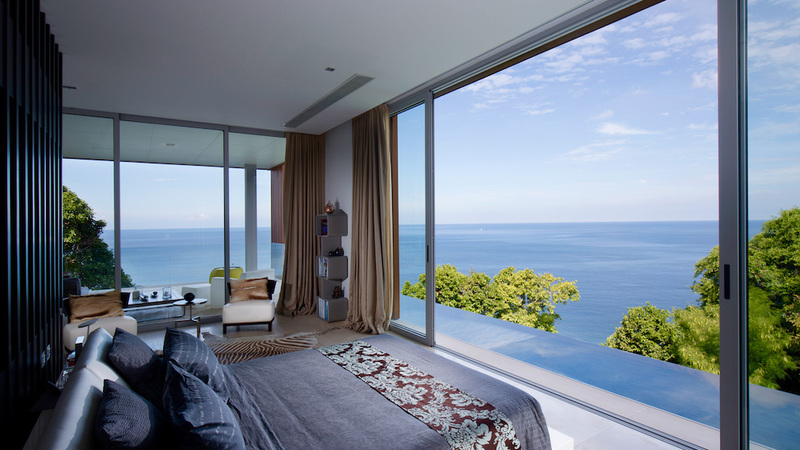 This beautiful entry frames the vast sea, which gives you a glimpse of the breathtaking views that fill every angle on the property. 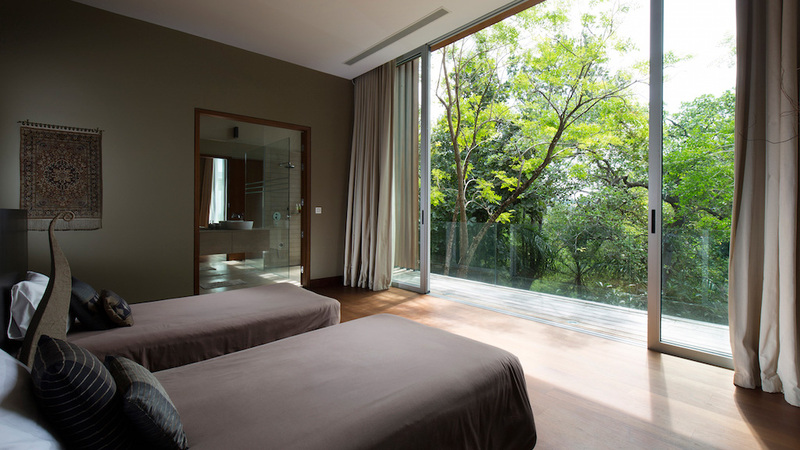 Immediately, you will feel a sense of calm upon entering the property. 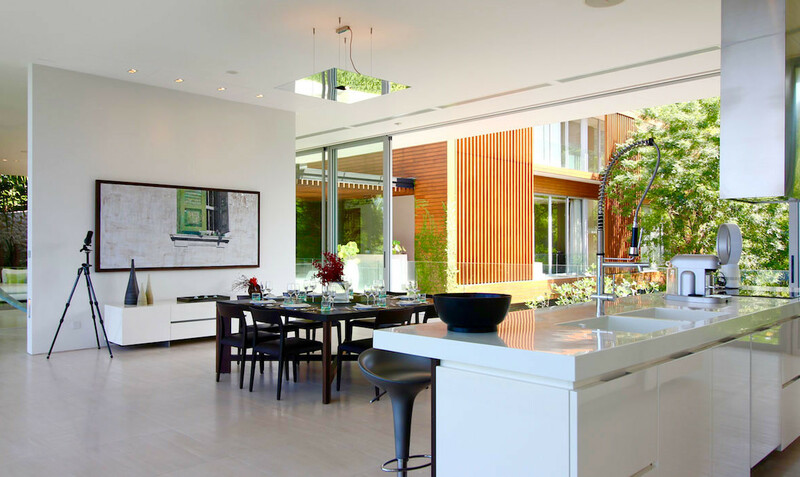 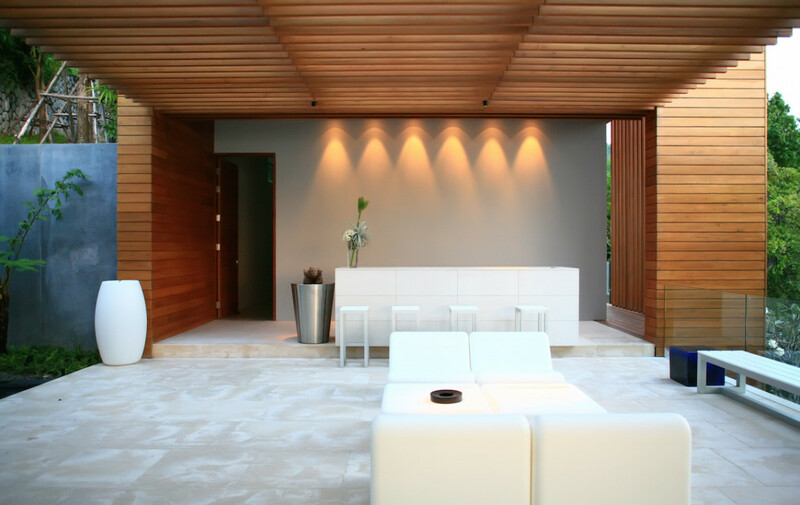 Linear lines in neutral colors and a blend of natural and concrete materials are merged seamlessly to create a look that’s respectful of the beautiful rainforest that surrounds the home. 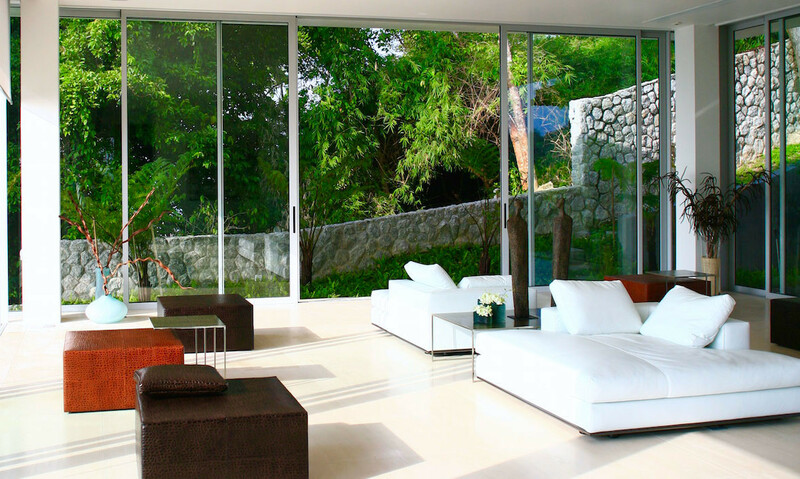 With floor to ceiling glass doors and windows, the entire villa purposely embraces its natural surroundings to mimic the look of the outdoors as an extension of the interiors. 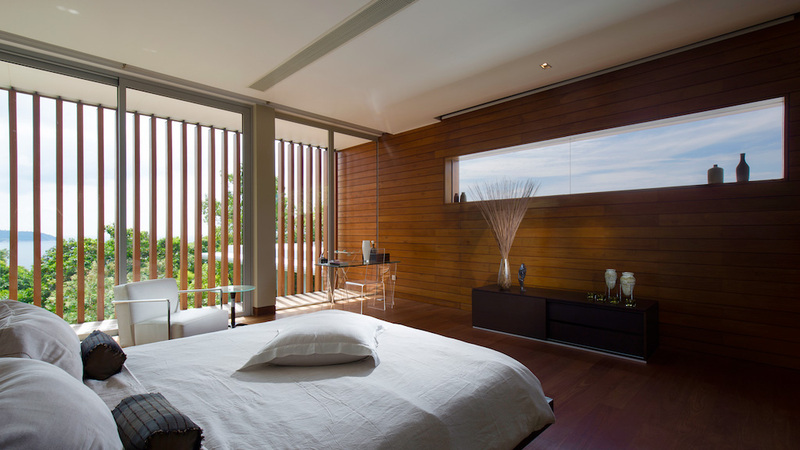 A villa inside a villa, the master wing is the most impressive part of the home. 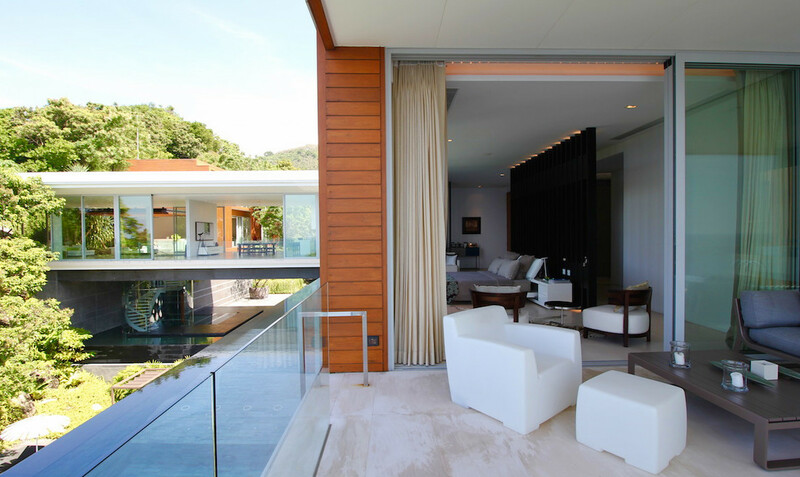 It was made specifically for complete privacy and separated from the rest of the home while still being on the same building. 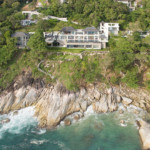 The master wing features a private infinity pool, an own kitchen, dining area, spacious dressing area, a library, an office, a breathtaking terrace, and an impeccable bathroom featuring marble and stone interiors with chrome and wood accents. 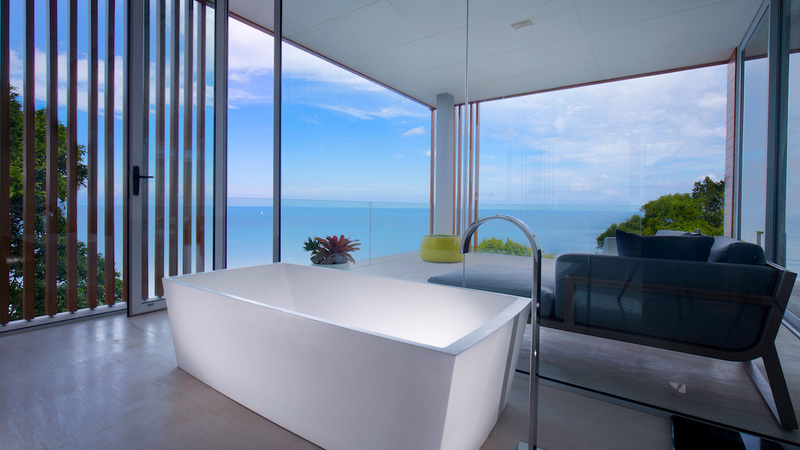 A beautiful bathtub sits strategically in the bathroom, and when the blinds are open, creates a unique bathing experience that will make you feel like you’re taking a relaxing bath out in the beautiful surrounding of the lush jungle and the sea. 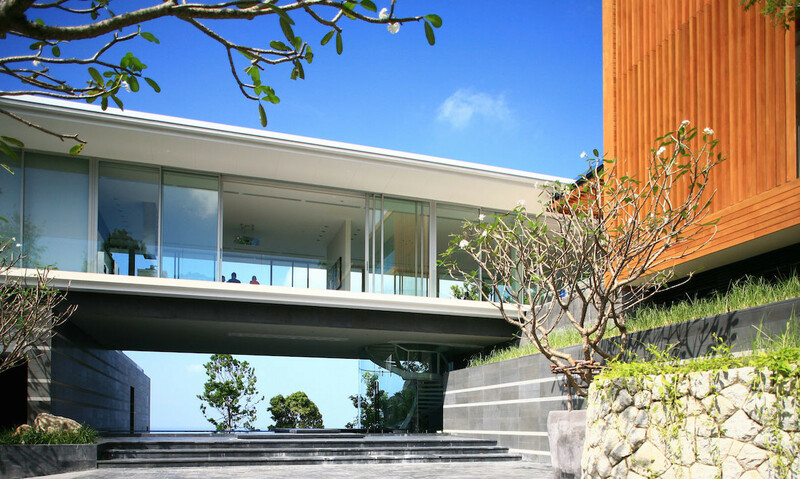 The master and guest wing are linked together with the property’s suspended lounge area. 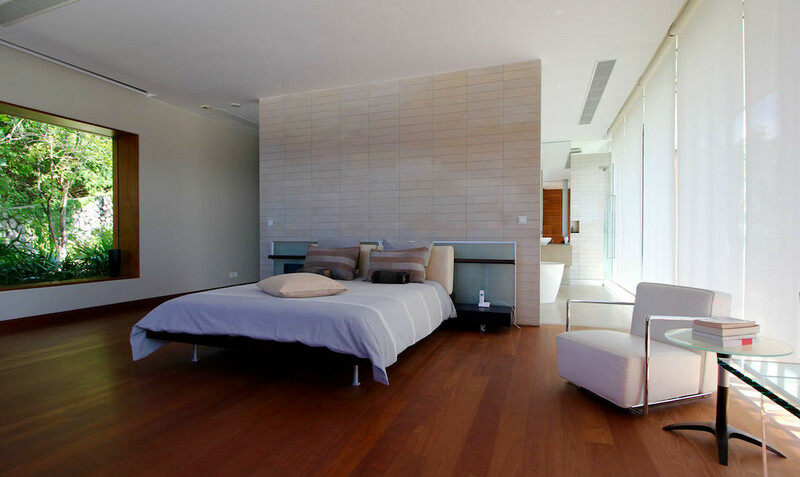 There is a total of 3 suites, and features include a fitness gym, 2 state-of-the-art kitchens, a living area, and an entertainment area spread across two floors. 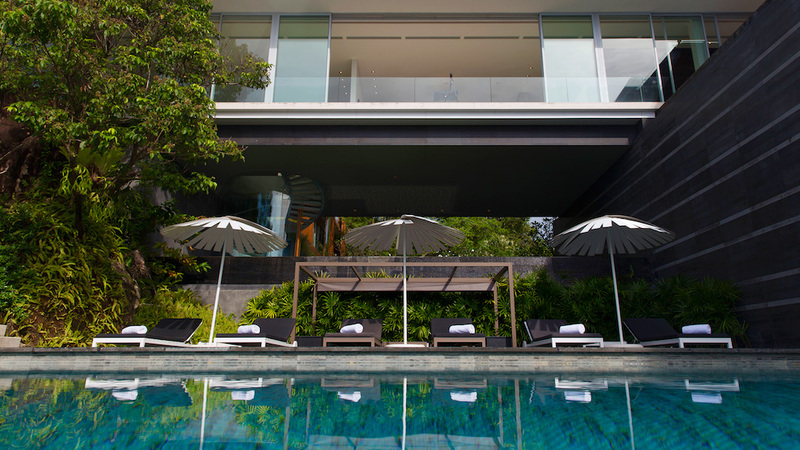 The villa also features a large infinity pool aside from the master wing’s private pool, several lounge and dining areas furnished with minimalist and stylish furniture, sun deck lounges that seem to hang over a cliff with unbelievable views of the Andaman, and plenty of space to lounge around and simply revel in the warm and tranquil environment of the beautiful tropical setting.